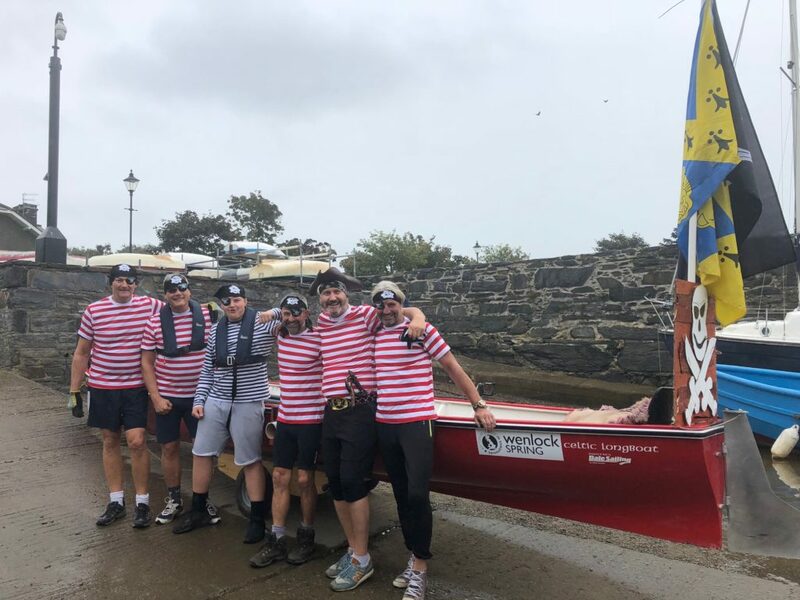 SARC entered a crew for the Porthmadog weekend of racing with the Saturday being a one-off Pirates race where we started from a beach with our ‘Pilot’ passenger running into the boat before casting. Racing to another beach we had to collect a beer keg (empty unfortunately) and then race back. SARC were second losing by a mere 7 seconds !! On the Sunday it was a more standard league race as a time trial. 3 of our crew were novices and this is the first league race for all of the crew. We did ourselves proud coming in 4th, missing out on second place by under 90 seconds which was a great result.